Suliana Halaholo was born in Tonga in 1950 and began attending a Baha’i school’s children’s classes at the age of eight. Soon she was teaching classes and began being involved in administrative activities while she was still a youth. 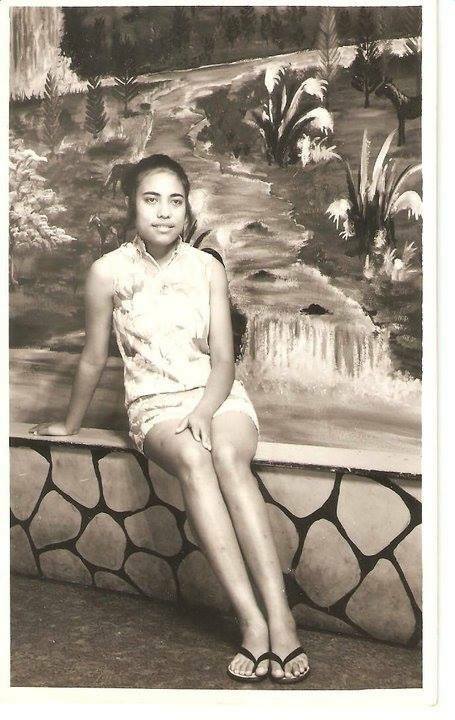 She was secretary of the youth committee of Tonga, and later of Fiji, and thanks to her academic achievements the government of Tonga gave her a scholarship to study dietetics at the University of the South Pacific in Suva, Fiji, where she obtained her Bachelor’s degree. 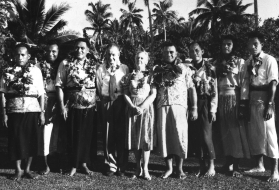 Halaholo devoted two of her vacations from schooling to translating into the Tongan language The Seven Valleys (one of Bahá’u’lláh’s metaphysical works), and later the Tablet Words of Wisdom. Both translations were approved by the National Spiritual Assembly of Tonga. After graduating from university, Suliana married Dr. Masao Korean and settled on Ebeye in the Marshall Islands where she pursued her career and devoted herself to raising her children: Ruthann, Saane and Sultán. She learned Marshallese and continued to make teaching trips to the islands. In 1979 she was appointed an Auxiliary Board member for propagation of the Faith, and through her work for this institution all the Bahá’ís of the Western Pacific came to know and love her. Although she had no professional training in music she found time to learn to play string instruments. She sang and played at Bahá’í gatherings and proclamation events. It was her wish always to bring happiness wherever she was. 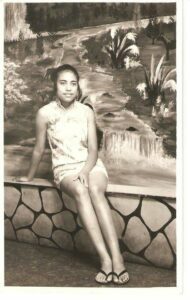 In June 1981 she moved with her family to Saipan. Shortly thereafter she was appointed to the Regional Teaching Committee for the northern Mariana Islands. However, at this time, tragedy struck. A brain tumor which had been operated on in 1979 began to create physical difficulties for her, although almost no one was aware of her discomfort and she continued to perform her duties. In December she participated in the dedication of the Bahá’í Center on Saipan, joining in the singing and dancing with the same fervor and joy as the other believers. It was perhaps her last public act. To the end, however, Suliana was aware of the love of the Bahá’í friends, and of the wonder of the Bahá’í teachings. Her talk, during the last m onth of her life, was of her beloved Cause of God. One week before her passing on 15 April 1982, five pioneer adults and three pioneer children arrived on Saipan, much to Suliana’s joy. The people of Saipan said that their prayers had been answered with the arrival of the pioneers. Perhaps Suliana’s special dedication was also in some way balanced at that time. But we know that no one will take her place. No one will carry such love to the islands. At the time of Suliana’s burial, Auxiliary Board member Marian Johnson said, ‘To know Suliana was to know an angel.’ If angel she is — and surely the Bahá’ís of the Western Pacific would agree — then her love and the example of her faith will always be with us.